It said crime categorised as “violent” rose by 19%, with rises in offences including stalking and harassment. 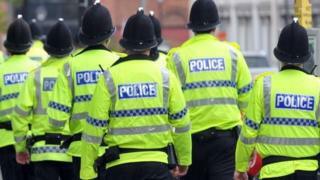 The Crime Survey for England and Wales, based on people’s experiences, suggests there were 10.8 million offences. The survey, published on the same day as the official crime statistics, includes crimes that people do not report to police. When comparing like-for-like crimes, the survey reported a 9% reduction compared with the previous year. Crime calculator – what’s your risk of being a victim? But he said police figures alone cannot provide “a good measure of all crime in society”. “The recent increases in recorded crime need to be seen in the context of the overall decline in crime indicated by the Crime Survey for England and Wales,” he said. The 19% increase in “violence against the person” offences dealt with by police was “driven largely” by increases in the sub-categories of “violence without injury” (21%) and “stalking and harassment” (36%) and “violence with injury” (10%), the ONS said.